Take the trip of a lifetime and explore many of Europe's most memorable landmarks without ever leaving your home! 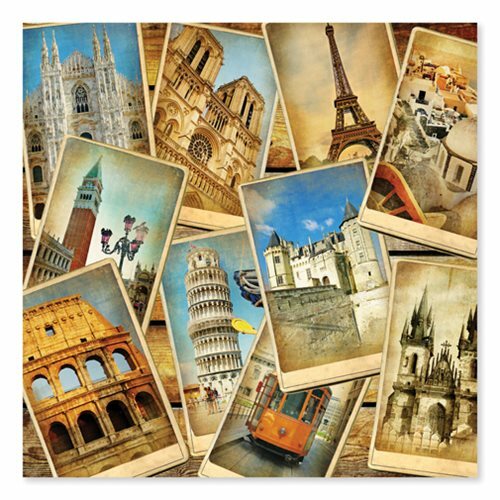 This 24-inch tall x 24-inch wide cardboard Postcards from Europe 1,000-Piece Jigsaw Puzzle features images of the Leaning Tower of Pisa, the Eiffel Tower, the Colosseum, and more. The high piece count makes for a more challenging puzzle experience that's great for adults and children, ages 12 and up. This item is not eligible for receiving points or redeeming Points with purchase.